I used to see this wine on the shelves at the grocery store and crack up laughing. 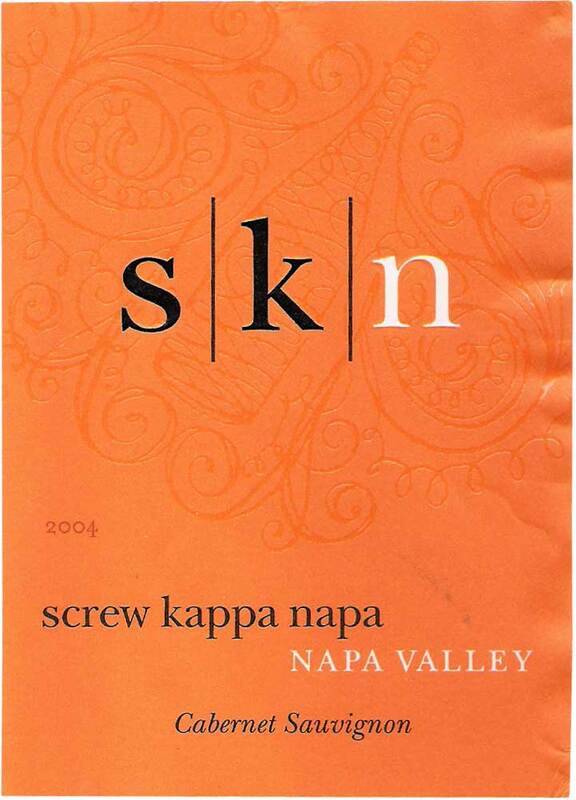 I thought the name of it, Screw Kappa Napa, was so funny that it couldn’t possibly be anything actually drinkable. It wasn’t until one day when I was playing around on the Sebastiani website that I realized that this silly sounding wine was actually one of theirs… Sebastiani has a division called Three Loose Screws and under that label they have several wines, one being the Screw Kappa Napa. Once I realized that this wine did in fact come from a reputable place my curiosity got the best of me and I bought my first bottle of SKN Cabernet Sauvignon. Lo and behold the wine was great! It’s somewhat similar to its cousin (see previous post) the Sebastiani Cabernet but a little less aggressive. The regular Sebastiani Cab is one I go to when I’m looking for something serious… a big, bold wine that doesn’t mess around. The SKN has just as much to offer but is a little bit more mellow. It offers the same smoky tobacco aromas and is dark ruby in color. It tastes of blackberries and black pepper. This would be a great wine to enjoy with a steak dinner but also gets the job done as an after work cocktail! So don’t let the funny name throw you… this wine means business.